Awesome experience, my daughter enjoyed the most... Great variety of specimen, lots to see.. Only thing is its a lot of walk! ;-) Thanks Klook for making the experience such smooth. See the true marvels of Dubai with a visit to the city's aquarium and underwater zoo. 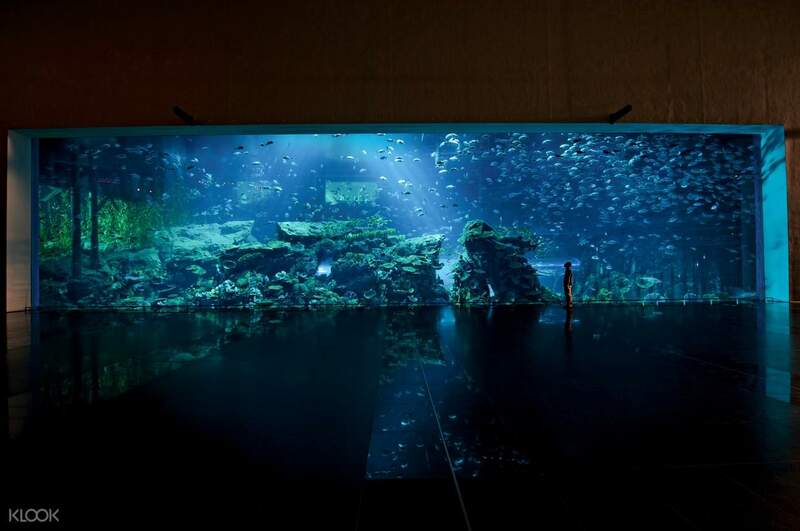 Dubai Mall is home to one of the world's largest suspended aquariums. The 10 million liter tank is home to over 300 sharks and rays and boasts the largest collection of tiger sharks in the world. Choose from two wonderful experiences: Researcher or Explorer. 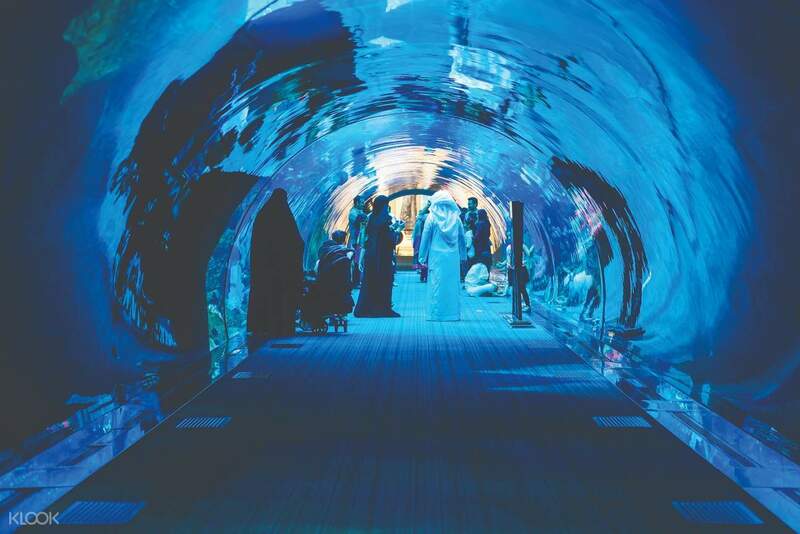 The Researcher Experience takes you on a comfortable journey through the Aquarium Tunnel, Underwater Zoo and Observatory, and even gives you a peek behind the scenes. Looking for an even more immersive experience? Go for the Explorer option and step into the Submersive Simulator to see white sharks, dugongs and other marine animals up close. Hop into the Aquarium Glass Bottom Boat to drift over the water surface and observe various creatures swimming below. Great experience for the family. Entry was without a hassle and the venue accepted the tickets on the mobile itself. Though on spot we upgraded the tour a whole bigger adventure by paying extra on the special offer they had running. Still thanks to KLOOK for getting us a steal deal for the aquarium! Great experience for the family. Entry was without a hassle and the venue accepted the tickets on the mobile itself. Though on spot we upgraded the tour a whole bigger adventure by paying extra on the special offer they had running. Still thanks to KLOOK for getting us a steal deal for the aquarium! 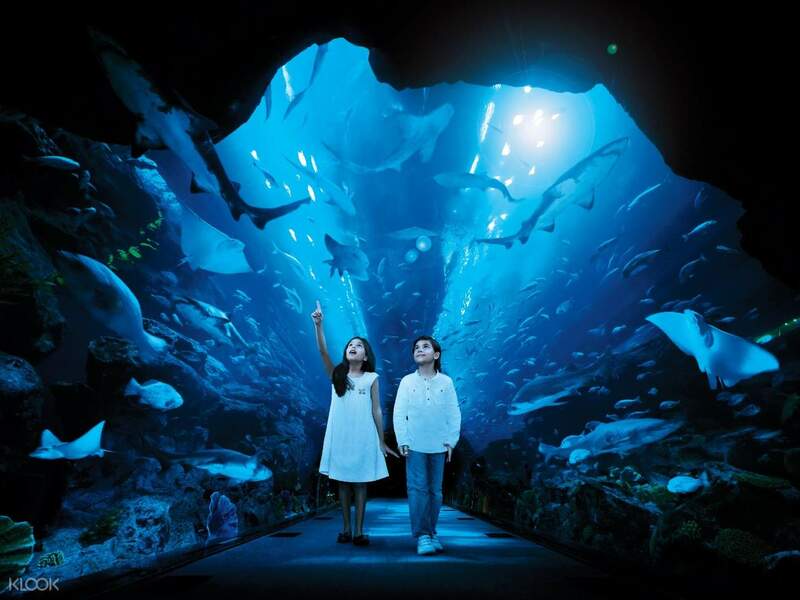 The aquarium is situated right inside the worlds biggest Mall, Dubai mall. It was a architectural wonder that such a huge aquarium and under water zoo build in a mall. So many spices of fishes, Sharks, penguins and a huge crocodile in a mall. amazing place to visit and very economical when you boom through Klook. 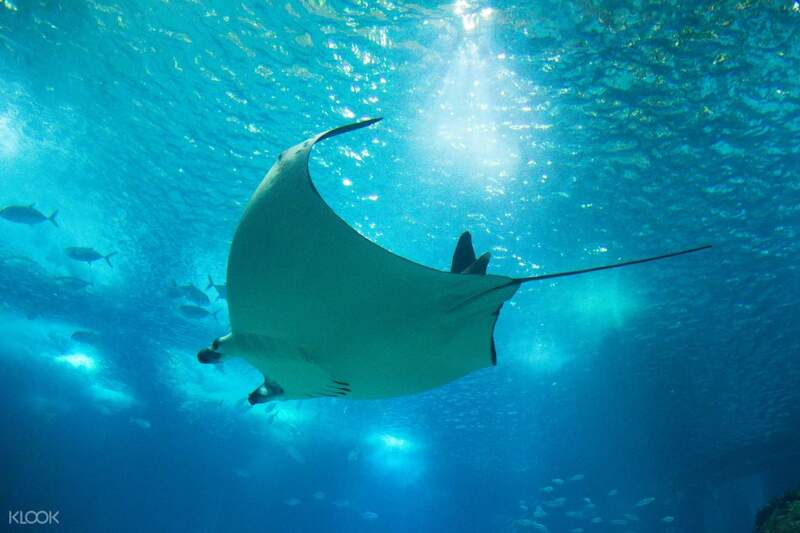 The aquarium is situated right inside the worlds biggest Mall, Dubai mall. It was a architectural wonder that such a huge aquarium and under water zoo build in a mall. So many spices of fishes, Sharks, penguins and a huge crocodile in a mall. amazing place to visit and very economical when you boom through Klook. We had fun here but I suggest you to buy the pricier one in which you guys can ride the boat which is worthier. The aquarium was actually a short trip walk only but the underwater zoo was the real deal! We had fun at the underwater zoo. We had fun here but I suggest you to buy the pricier one in which you guys can ride the boat which is worthier. The aquarium was actually a short trip walk only but the underwater zoo was the real deal! We had fun at the underwater zoo. Must visit with kids, amazing collection of underwater creatures. Tunnel would take around 30mins while zoo would take another 30-45mins. Tunnel is on the ground floor and zoo is on the second floor. Must visit with kids, amazing collection of underwater creatures. Tunnel would take around 30mins while zoo would take another 30-45mins. Tunnel is on the ground floor and zoo is on the second floor. excellent, both the aquarium and the zoo. very good displays, great variety, do not miss. clearly a top 3 attraction when visiting with kids. pricy but well worth it. you can squeeze it comfortably into 1.15 hours. excellent, both the aquarium and the zoo. very good displays, great variety, do not miss. clearly a top 3 attraction when visiting with kids. pricy but well worth it. you can squeeze it comfortably into 1.15 hours. Klook gave a good deal to this place, it was much cheaper than buying tickets from the ticket counters in the aquarium. This aquarium is not very big compare to the S.E.A Aquarium in Singapore but I must say the tunnel was impressive. My 4 and 7 years old kids had a great time there since they loved sea animals. They also enjoyed the visit to the Underwater Zoo. Overall this is a must go to place for kids. Klook gave a good deal to this place, it was much cheaper than buying tickets from the ticket counters in the aquarium. This aquarium is not very big compare to the S.E.A Aquarium in Singapore but I must say the tunnel was impressive. My 4 and 7 years old kids had a great time there since they loved sea animals. They also enjoyed the visit to the Underwater Zoo. Overall this is a must go to place for kids. Amazing experience it was. Klook is cheaper than the actual modes of buying anyday. And the basic tickets are just enough to see them. So there are two which is aquarium and the zoo tickets, in case you need to see the aquarium from inside which is a small area you can buy the ticket else its not necessary and most of it can be viewed in the Mall without a ticket. But the underwater zoo is worth it. Amazing experience it was. Klook is cheaper than the actual modes of buying anyday. And the basic tickets are just enough to see them. So there are two which is aquarium and the zoo tickets, in case you need to see the aquarium from inside which is a small area you can buy the ticket else its not necessary and most of it can be viewed in the Mall without a ticket. But the underwater zoo is worth it. Dubai Aquarium was special to me as I have a kid who is a fan of these things. The flora and fauna alongwith some extinct animals were treat to the eye.Thanks to KLOOK who arranged the trip for us. Dubai Aquarium was special to me as I have a kid who is a fan of these things. The flora and fauna alongwith some extinct animals were treat to the eye.Thanks to KLOOK who arranged the trip for us.